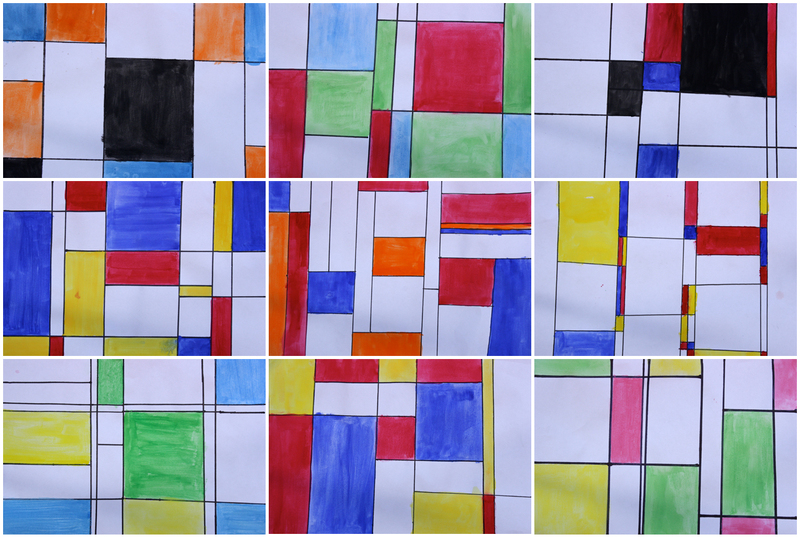 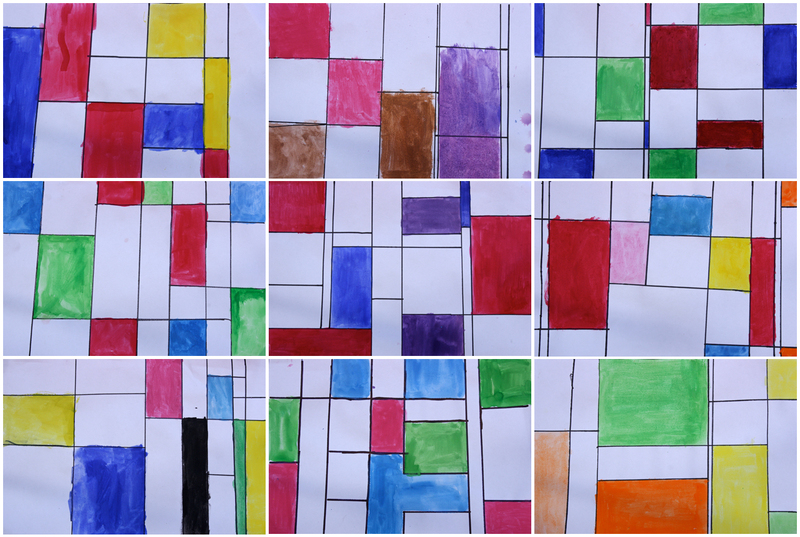 Year 5 students created these Mondrian-like compositions with any three colours of their choosing. 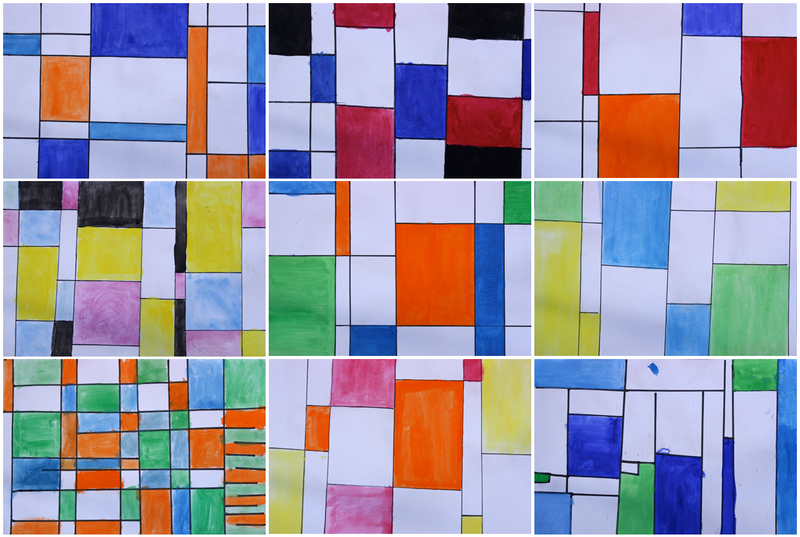 A few could not resist Piet's classic primary colourway, but others relished the chance to re-imagine his renowned style. Like this recent year 2 Mondrian lesson, the children ruled their own grids with permanent markers, but in this case used watercolours rather than acrylic paint to fill in their resulting squares and rectangles.